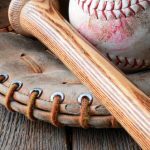 Taking the time to train for ultra-specific parts of your game can make the difference between champions and losers. For many pro athletes and sports enthusiasts that difference can be a few small inches in vertical jump height. If you want to know how to improve vertical jump height, you’re in the right place. Scroll down to read through, or use the links below to jump to the relevant section. Jumping is one of the most important skills required in many sports, but not enough athletes invest the necessary effort to take their vertical jump to another level. However, for those of you keen to enhance your athletic prowess, improving jump height, quite literally, put you head and shoulders above your opposition. And you don’t have to be a professional athlete to look at improving your vertical jump. Anyone who is looking to build explosive power and gain strength can benefit from working on their vertical jump. And, best of all, jumping is a fun way to increase your body’s potential, improve your fitness and motivate you to achieve more. 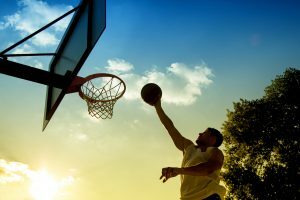 Without any specific training you’ll find that you fail to add new height to your vertical jump and this can deal a real blow to your motivation. Therefore, it’s essential that you plan your training carefully to focus enough attention on improving jump height. 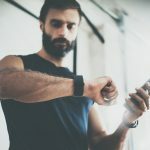 Thankfully, when it comes to training, it’s a fairly straightforward process once you break the movement down and look at the contributing factors behind your performance. 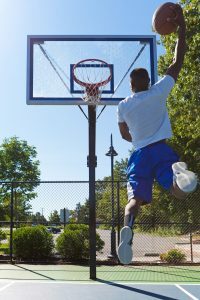 And, with this knowledge in mind, it suddenly becomes a lot easier to understand how you can improve your vertical jump. Exercises – It’s important to concentrate on specific exercises that can build leg strength and increase the explosive power contained within them. Without the right exercises in your training arsenal you’ll struggle to add any gains to your vertical jump. General fitness – There’s a direct correlation between your fitness and the height to which you can jump, so it’s vital that you work on your cardio, core strength and determination to lose weight. After all, you know how tough it is carrying your groceries home, but imagine trying to jump up high with all that extra weight. Diet – Your diet can have a huge impact on your ability to jump higher, so you need to ensure you focus on foods which can build strong muscles. Your body really is just like a machine, so maintaining it with the right fuel will ensure that it’s capable of working at its maximum capacity and has plenty of energy to help kick start your jumps. Check out some of our resources on diet and exercise to help improve your baseline level of fitness and lose weight. 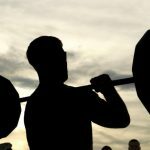 Dumbbell Jump Squat – It’s important to increase your explosive power in order to push your vertical jump higher and higher, so the dumbbell jump squat is a fantastic opportunity to achieve this. As you’ll know from the gym, the squat is a compound exercise which can really increase your strength. The dumbbell jump squat takes this to another dimension by adding a jumping motion which enhances your ability to push up off the ground with a faster, more powerful motion. 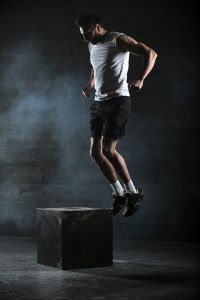 Box Jump – The strength of your quadriceps plays a real role in your ability to jump, so it’s important that you spend part of your training routine working them hard. And, one of the simplest, but most effective exercises for this is the box jump. As well as working your quads, the box jump also helps to develop some of the cornerstones of a successful vertical jump: agility, accuracy and balance. And all you need is a sturdy platform. Two Leg Knee Jump – The posterior chain consists of the muscles and tendons of the lower body (glutes, trapezius, hamstrings) and it’s a muscle group which provides the explosive power necessary for jumping. Therefore, any exercise which concentrates on the posterior chain is only going to benefit your vertical jump. And that’s why it’s time you started integrating the two leg knee jump into your training routine; it’s an exercise which can be done anywhere and produces amazing results. Bulgarian Split Squat – If you want to jump higher than ever before then you need to work on improving your balance. If you can find an exercise which improves your balance then that’s fantastic, but it’s even better if you can find one which also improves your lower body strength. Luckily, this is where the Bulgarian split squat steps in to your exercise routine. It’s an exercise which forces you into balancing yourself and develops each leg individually which allows you to take off on either leg with equally stunning jumps. Trap Bar Deadlift – Jumping higher involves transferring more force into the ground to power your take off, so strength is essential to achieve this. And the trap bar deadlift is a great exercise to develop your strength; a superb workout for the quads, hamstrings and glutes, the trap bar deadlift really helps to strengthen your posterior chain and increase your range of motion to make you stronger than ever before. Those five exercises, in isolation, will lead to gains in your vertical jump, but if you want to see even better results then you need a dedicated vertical jump program. Claiming to add “up to 9 – 15 inches to your vertical jump”, VertShock certainly has lofty ambitions and is a program well worth investigating. VertShock aims to shock the central nervous system into increasing your vertical jump through the application of explosive plyometric training. Safety is at the core of the VertShock program and avoids exercises which involve heavy weights, so it’s perfect for people of all ages. The Jump Manual is an incredibly in-depth training manual which takes you through virtually every possible factor that could add even a millimeter to your vertical jump. Created by Jacob Hiller, the Jump Manual contains eight chapters which cover areas such as the science behind jumping, the correct diet for maximizing gains and the amazing Max Explosion Workout which, when they’re all combined can add up to 10 – 20 inches on your vertical jump. When you get a jump program designed by a previous winner of the Powerade Dunk competition, you know you’re going to be getting something special. And Adam Linkenauger’s Freak Jump Technique 3 certainly doesn’t disappoint as it picks apart and analyses the jumps of famous athletes, educates you on the revolutionary Overspeed Jump Training technique and breaks down every aspect of a successful jump to help you add 6 inches to your jump after just 15 minutes. Plyometric Jump Boxes – One of the foundations of vertical jump training, plyometric jump boxes are essential for anyone looking to add height to their jumps. Plyometric jump boxes can be incorporated into a wide number of exercises, so they’re a highly versatile piece of kit. However, at their simplest, the challenge of jumping up onto a stationary object is a fantastic way to practice your technique and measure your progress. Available in a series of heights, they’re perfect for beginners and more advanced jumpers. Weighted Vests – A weighted vest is one of the most convenient and easiest ways to add resistance to your training. It’s this added resistance which will help to build explosive strength, increase your speed and ratchet up the intensity of your cardio. And all you have to do is slip it on before your training sessions. After a few weeks of this, you’ll find that when you jump without it, you feel as light as a feather as you fly higher than ever before. 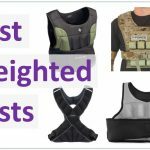 Check out our full article on the best weighted vests here. Jumpsole Jump Trainers – In order to jump correctly and optimize the height of your jump, you need to be jumping off of the balls of your feet. However, not everyone jumps from this optimum position, and those that do don’t always do it correctly, but help is on hand in the form of Jumpsole jump trainers. Acting as plyometric platforms for your shoes, the Jumpsole trainers help to activate fast twitch muscle fibers in your legs for strength and also focuses your weight onto your calves to help you add important gains to your jump. 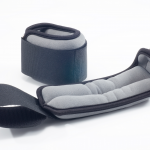 Ankle weights – When training to increase your vertical jump, ankle weights are one of the best methods to get your legs working against external resistance. By adding more load to your legs, you’re forcing them to work harder during training; whilst this may make you sweat a little more and get out of breath quicker, it will also help you strengthen your legs and maximize the explosive power at your disposal. And, before you know it, you’ll be adding extra inches to your jumps. If your vertical jump is an important part of your game it is worth investing the extra time to improve it. Following the steps outlined above could be the difference between success and failure in the final seconds of that all important match! Even if you’re just looking to get fit and lose some weight, having a specific target in mind can the boost that you need to keep you on track. Not everyone is interested in running marathons, so maybe vertical jump height could be the metric you use to measure your progress. Whether you choose to invest in a vertical jump program, or just do the exercises in your own time, you’ll definitely be adding a few extra inches to your jump in no time at all.